Each political party had a seat at the table for the tri-partisan pro-life discussion Monday, Oct. 15, in the Montview Ballroom. 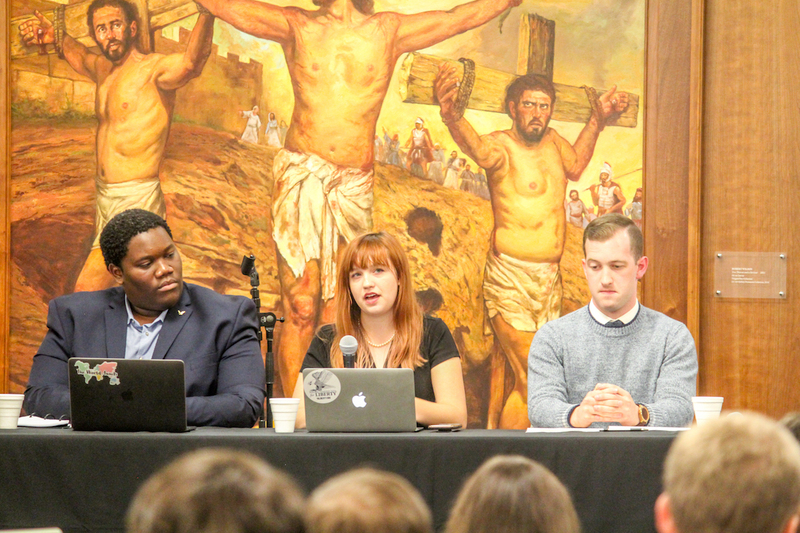 College Republicans, Lifeline pro-life club and the Catholic Club hosted an abortion panel featuring pro-life students. Liberty students represented the parties – Joshua Grant (D), Addyson Garner (L) and Tim Mureck (R). Each student advocated their party’s view on abortion from a pro-life perspective. The panelists had various points of contention surrounding the issue, but they joined hands in the belief that life in the womb is precious to God and that abortion is wrong. Abortion is a principle concern in the political scene and leads debate among the three premier political parties. It is rare that candidates agree on the topic of abortion across partisan lines. President of Lifeline Kyle Eisenhuth said the goal behind hosting the event was to open people up to different ways of thinking about the issue. Eisenhuth moderated the event, and students in the audience submitted questions for the panelists. They discussed abortion’s implications in America through the lens of race, gender, social welfare and the church. The audience submitted an array of questions, including topics such as Planned Parenthood, the #MeToo Movement, the legalization of drugs and how these issues contribute to the abortion debate. President of College Republicans Tim Mureck believes abortion is an antithesis to the Constitution. “How can we justify any other public policy if we can’t protect life in the womb?” Mureck said. He also said the government’s role is to protect all lives, including the unborn, under their jurisdiction. Libertarian representative and member of the Liberty Movement, Addyson Garner, staunchly opposes abortion because of her belief in freedom for all. The panelists also discussed the difference between being “pro-life” and “pro-birth.” Democratic representative and member of the Alexander Hamilton Society Joshua Grant discussed the importance of giving the mother support after she chooses life for her child. “It is important that we take care of life once it enters the world, as well,” Grant said. Each panelist agreed that the role of the church and nonprofit institutions are vital to support the pro-life community. Vice-president of Liberty’s Catholic Club, Anna Lulis, recognizes the importance of open discussion on this topic. 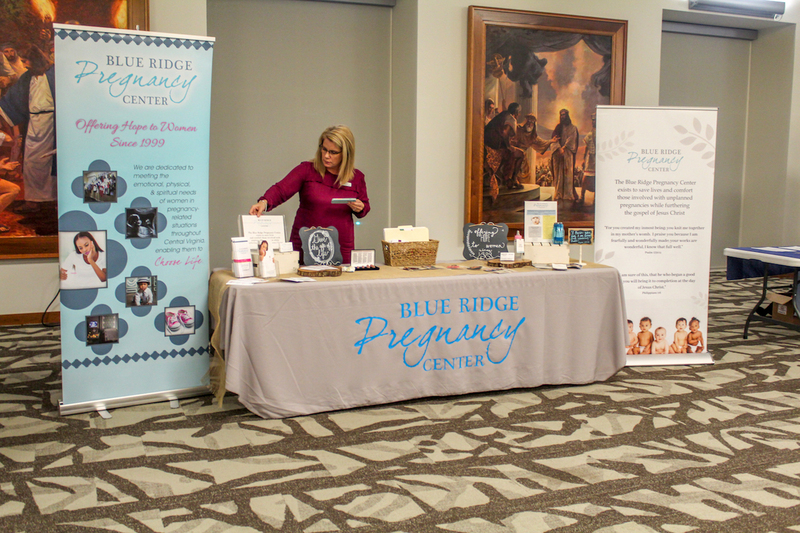 Executive Director of Blue Ridge Pregnancy Center Susan Campbell attended the event and shared her opinion on abortion and the nonprofit aspect of the topic. Campbell said she wants everyone to know that anyone who has an experience with abortion is never too far removed from the love of Christ. The Blue Ridge Pregnancy Center shares the gospel with each of its clients and encourages mothers to choose life. To become involved in the pro-life movement or to speak out about the issue, students can contact the Lifeline Club at Liberty via its Facebook page. They can also visit the Blue Ridge Pregnancy Center’s website at http://blueridgepc.org/.